Yesterday I appeared on Paula Sands Live! and she asked me point blank should someone who doesn’t have a gluten sensitivity or Celiac Disease eat a gluten free diet. The short answer I gave her is no. The long answer requires a little more discussion. While eating a completely gluten free menu isn’t going to harm you, if you don’t need to eat gluten free, you shouldn’t go out of your way to do so. 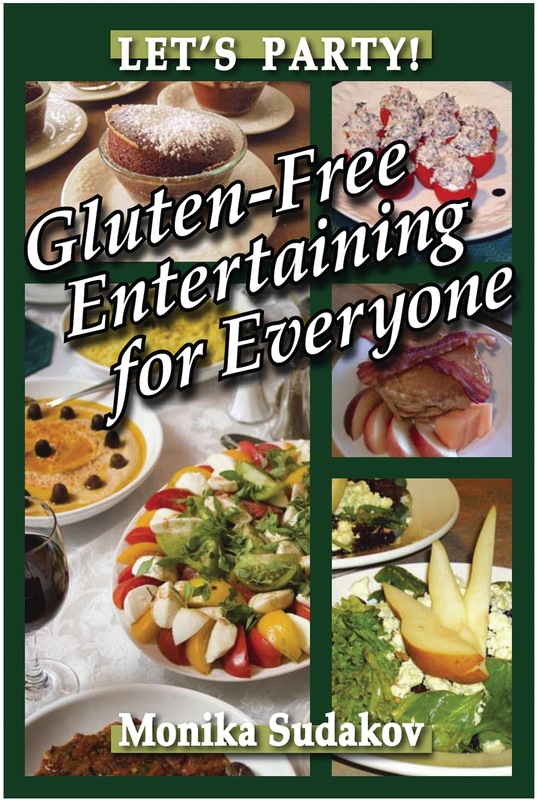 The bottom line is that in recent years Gluten Free has become somewhat of a fad diet and many people are jumping on the band wagon without proper diagnosis, without a gluten sensitivity or intolerance and without considering the long term health benefits/detriments. 1 in approximately 133 individuals is affected with Celiac Disease. 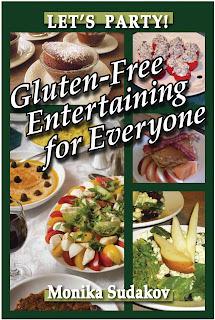 Celiac disease is defined as someone who cannot tolerate gluten. The gluten attacks the villi in their small intestine, which are the small hairlike protrusions that actually help to absorb nutrients, causing them to shrivel up and thus instigating a host of medical ailments ranging from gastro-intestinal problems to iron deficiencies to skin rashes to migraines. These individuals when taken off of a diet including gluten can regrow the villi and resume a normal life sans symptoms. Wheat allergies, intolerances and sensitivities are not necessarily related to Celiac disease but are legitimate allergies nonetheless which also require an individual to remain on a gluten free diet. Symptoms again can range from mild skin irritations and stomach discomfort to full anaphylaxis. The bottom line is, the need to live gluten free exists. BUT, that being said, many believe that eating gluten free is somehow healthier for you. They equate gluten free with low fat, low carb, low glycemic or low sugar. This is often not the case. Many of the carbohydrates that are often included in a gluten free diet, i.e. rice, potatoes and corn, can often be higher in starches and sugars than flour and may in fact cause weight gain, not loss. There is also a significant problem with many gluten free products that are being marketed to consumers. Gluten free is big business and many manufacturers see it as an opportunity to make money. While these products may be gluten free, they are not made with your overall health and wellness in mind. If you actively read labels you’ll notice that often pre-packaged gluten free foods and snacks are actually quite high in fat, sugar, sodium and carbohydrates as well as a host of other ingredients that are included to create a certain mouth feel or texture people associate with like products with gluten in them. You might not get sick, but you may in fact create a myriad of other problems by eating these products like hypertension, diabetes and obesity. I think the rule of thumb is that you should not self diagnose. You should consult a medical practitioner to determine if you have a legitimate allergy or Celiac disease before restricting anything from your diet. A simple blood test is needed to identify if you have a preponderance toward Celiac Disease, after which an endoscopy or biopsy may be performed to confirm the disease. One quick note: if you have already begun eating gluten free, you may test with a false negative even if you have it. You must be consuming gluten for the test to be accurate. As far as a wheat/gluten allergy, intolerance or sensitivity, there are various skin prick tests that can be performed to confirm such an allergy, but often a doctor will recommend you do an elimination diet to test your sensitivity to wheat or gluten. Eating gluten free is not a diet plan. Case in point. Last year I attended a fairly well known Gluten Free Expo where a registered dietition was appearing as an expert in eating gluten free. The dietition was well over what I consider to be a healthy weight and if indeed she was practicing what she preaches, she was the poster child for the fact that consuming gluten free foods without need or without consideration of overall health and wellness will not make you lose weight. If you think you are doing something good for you by eating an entire bag of gluten free pretzels over the non gluten free ones because you think they won’t make you gain weight, think again. Ultimately you have to read labels, know your body and know that there is no miracle short cut to losing weight, especially not a gluten free one. I always say, moderation is key, exercise is a must and knowledge about what you are putting into your body is necessary. Disappointing I know, but if it sounds too good to be true, it is, especially when it comes to losing weight.